Sri Lanka have struggled in one-day internationals for a few years but their record in 2017 is the worst they have ever recorded. 21 out of the 26 ODIs they have played so far have ended in defeats, resulting in a win/loss ratio of a dismal .190. According to a study by Cricinfo, it is the worst ratio recorded (minimum 20 ODIs) by a recognised Test nation in a calendar year. As is quite evident, Sri Lanka are in dire straits and players will have to be axed if they are to stem the bleeding. A majority of the players in the Sri Lankan side have not covered themselves in glory during this wretched run of defeats that saw the team being blanked 5-0 in three separate ODI series, and some of them are almost certain to be dropped. Here is a look at five players who do not deserve a place in the ODI side for upcoming series. This might come as a bit of a shock since he is the only member of the bowling attack regarded as world-class in limited overs cricket. 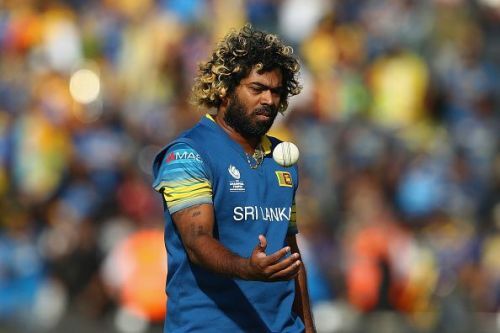 However, Lasith Malinga is on the decline and his poor returns this year have been one of the key factors in the team's shocking run of results. He might not have been a part of the ODI team in Pakistan but he did play in the other series this year and his performances paint a grim picture. Malinga leaked runs at the rate of one per ball in the 103.5 overs that he bowled this year and picked up only 10 wickets, each of which cost the team 62.30 runs. Dropping a player of his stature will be tough, but Sri Lanka need to support the next generation of fast bowlers and make difficult calls before things get out of hand.